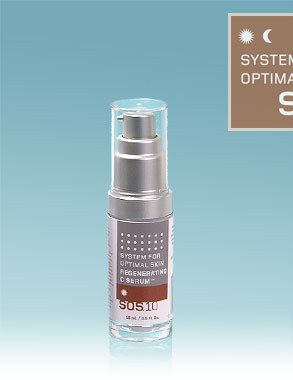 Invert bottle once or twice then dispense 3 pumps onto palm of hand and apply evenly over face and around eye area with fingertips every morning or as prescribed by your Certified SOS™ Skin Correction Specialist. Effective on all skin types. There may be crystals in SOS.10 Regenerating C Serum™, which are required for maximum penetration of the complex into your skin, enhancing the efficacy. 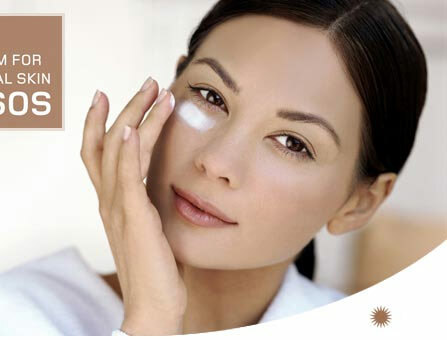 Vitamin C is a proven antioxidant, visibly firming and smoothing aging skin. In order for Vitamin C to work optimally, it must be in a stable formula that enables it to both penetrate the cell and coat the outside of the cell wall. SOS™ Regenerating C Serum contains 10% Magnesium Ascorbyl Phosphate Complex - the only proven formulation to do both simultaneously in a sustained, continuous action, penetrating the skin for maximum and optimal depth up to 24 hours after application.